 Change the "Qty" from 0 to 1 to add either 50units or 100units onto shopping cart! Further discount for bulk orders. 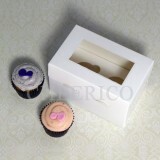 Value Packs of 25, 50, 75 and 100 units. 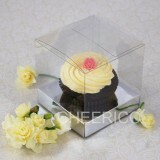 The transparent styling allows allow the frosted tops and decorative touches on your cupcakes to peek through, even when the box is closed. 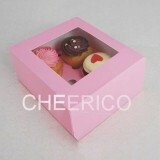 Box Measures: 15cm x 8cm x 9cm. 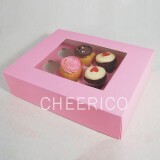 Box Measures: 15cm x 9cm x 9cm. 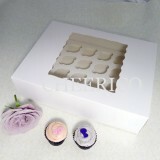 Boxes come flat, easy to assemble.Packs of 25, 50, 75 and 100 in store.Volume discounts available. 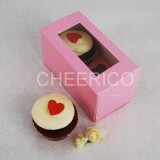 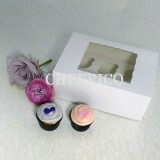 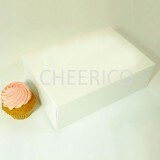 Our Cheerico 4 pink cupcake box comes with an insert to hold your 4 cupcakes. 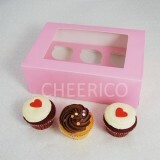 Measures: 36 X 28 X 9cm. 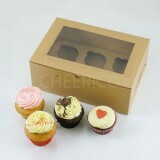 Boxes come flat, easy to assemble. 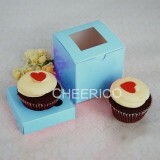 Come with Flexi hole of diameter from 45-60mm for the cup cake holes. 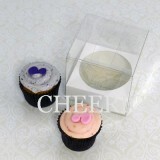 Base diameter 60mm for the cup cake holes. 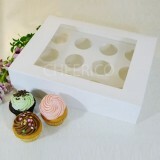 Welcome to CupcakeBoxes.co.nzwhere you will find the largest collection of cupcake boxes, cupcake box, cupcake boxes wholesale and clear cupcake boxes online in Australia. 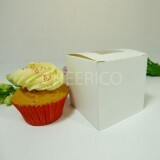 We are a cupcake boxes supplier based in Sydney and we offer Australia wide delivery. 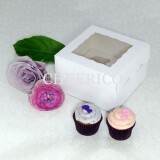 We also offer cupcake stands and cup cake boxes for wholesale so feel free to drop us an email if you run a bakery or home cupcake business. 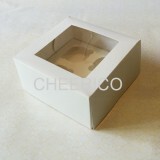 All our products come with a 14 day Money Back Guarantee for your peace of mind. 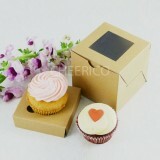 Check back often as we are continually adding to our product range. 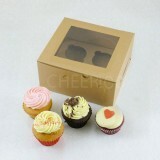 Happy cupcaking!